Shows like a model, and ready for you! Why wait to build when you can buy this model now! The property has been used gently for only 6 weeks in the last 3 years. This beautiful lakefront 2 bedroom, 2 bath, 2 car attached villa will WOW you from the moment you walk through the front door. Open floor plan offers a gorgeous kitchen with center island, breakfast bar, stone counter tops, wood cabinets, plant shelving, stainless steel appliances, gas stove, under-mount sink, under counter lighting and flows right into the dining and living room area. Some of the beautiful touches included are the coffered ceilings and the crown molding. The nice size master bedroom has his and hers closets and the en-suite has solid surface counters, wood cabinetry, dual sinks, tiled walk in shower and private commode area. French doors to the office gives you that quiet area to work from home. Your guest will enjoy the spacious guest bedroom and bath with combination tub/shower. Inside laundry room has washer/dryer and wood cabinetry. Relax on the screened lanai with amazing view of the lake after a hot day! Nicely landscaped yard gives this home great curb appeal. 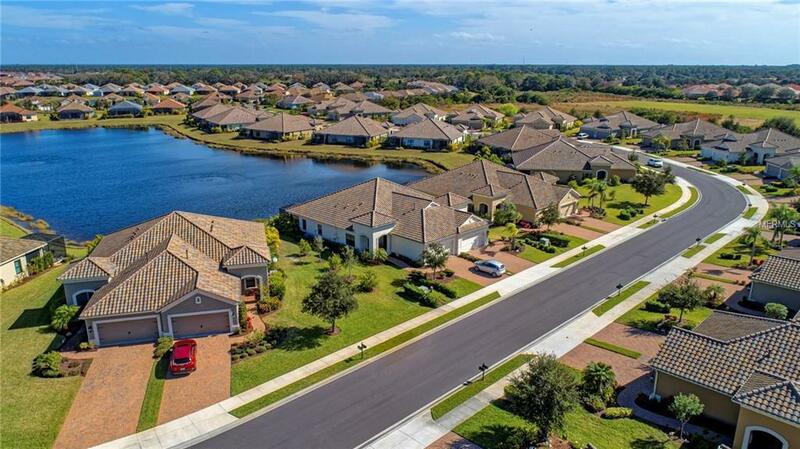 Boca Royale is a growing gated community with 600+ homes, monitored gated entry, 18-hole golf course, community pool, tennis courts, Pickleball courts, & fitness center. Located near area beaches, Historical Dearborn St., fine dining, shopping, world class fishing and more. This beauty wont last, call today for more details! Additional Lease Restrictions See Hoa Documents. Amenities Additional Fees Boca Royale Golf & Country Club is A Semi-Private Club That Has A Few Amenities Open To The Public And Many More Amenities Reserved For Club Members. Offering Competitively Priced Single And Family Golf Racquets And Fitness Memberships. Pet Restrictions 3 Pets Per Household. No Size Or Breed Restrictions.